Many of us from the older generation have been using the cast iron skillet for cooking. Back in the day, we didn’t have non-stick pans, and we had no problem learning to use the traditional cast iron skillet. When the non-stick pans were introduced into the market, many opted for the newer cooking pans and have forgotten about the cast iron pans. 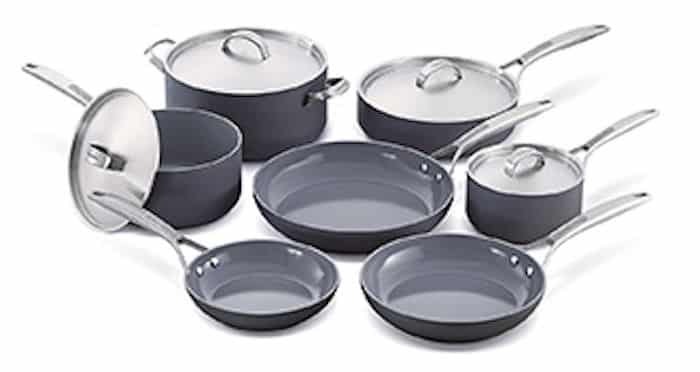 Surveys have been done on the different types of traditional non-stick cookware, and the results have shown that some of these release toxins and cancer-causing chemical into the food. These reports have raised much awareness and concern on what is safe and what is not safe to use for cooking. 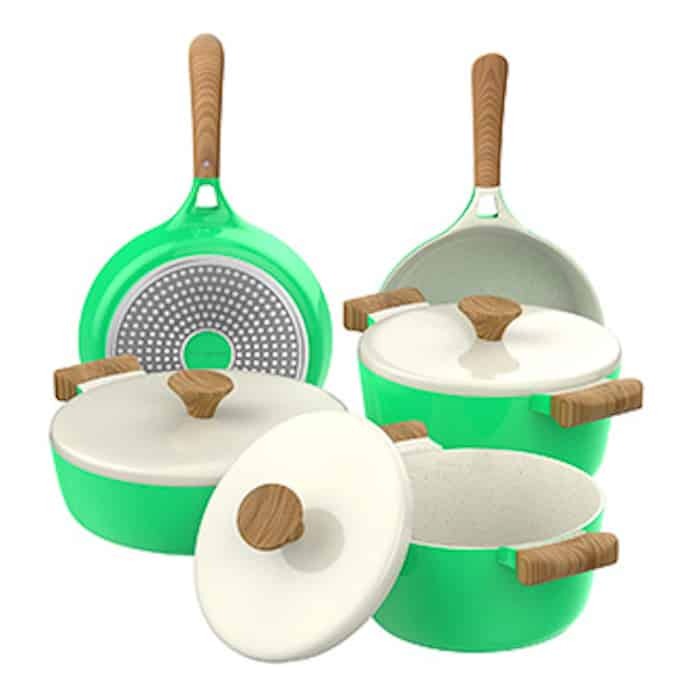 The good news is that there are now some great options out there that are more affordable and safer than the expensive yet harmful cookware that most of us have been using all these while. It is time to slowly replace that old cookware with safer and healthier ones. TheJuzz.com recommends you replace your old cookware with safer and healthier ceramic cookware if you have not done so. Friends and family members have highly recommended ceramic cookware to me after they have bought and used them. I started off with a multi-purpose skillet pan since I needed one at that time. I used it for searing steaks, roasting chicken, frying eggs, and I even used it to sauté vegetables. It can be used for cooking at high temperature, and it has a lid with silicon rim to keep the moisture and heat inside. Since then, I am now a huge fan of ceramic cookware. I have been acquiring several ceramic cookware pieces over the years. I find ceramic cookware to be easy to clean. They are designed with a non-scratch cooking surface, and there is no problem with using steel wool or scrubbing pads. Ceramic cookware is safe to cook over the stove, place into the oven, microwave, and for cleaning in the dishwasher. The pans are great for cooking soups, heating up food, and you can even bake in it. 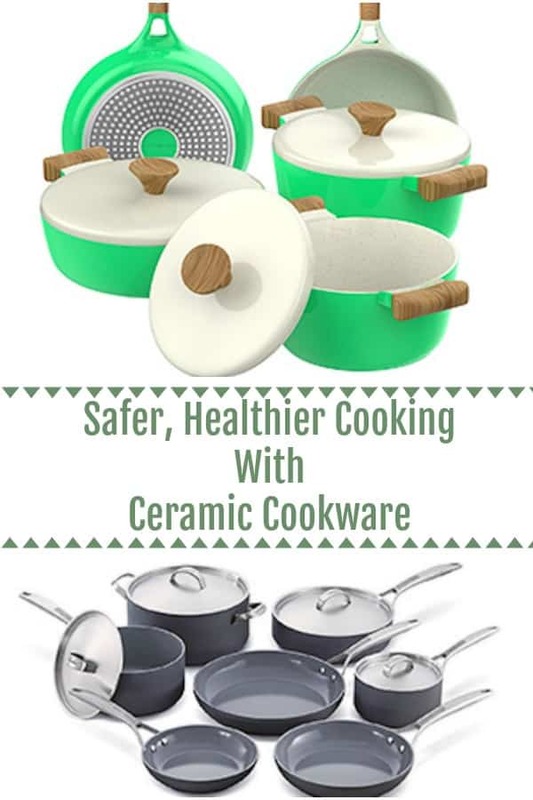 With the rise of health awareness many people have switched to ceramic cookware, plus, it is also greener and more eco-friendlier option. The downside of ceramic cookware is that they chip easily and their non-stick finishing is not as slick as the Teflon’s finishing. However, if you are looking for a safer and healthier cooking option, give ceramic cookware a try. Remember, if you like this post, please take the time to pin this post for later and follow all my projects and finds here on Pinterest.